Research has shown for some time that singing in a choir has tremendous benefits for physical and mental well-bing, leading some to campaign for it to be prescribed as a treatment for medical conditions. In addition, recent findings from a study suggest that there are specific benefits related to choral singing which are unique to this pastime. 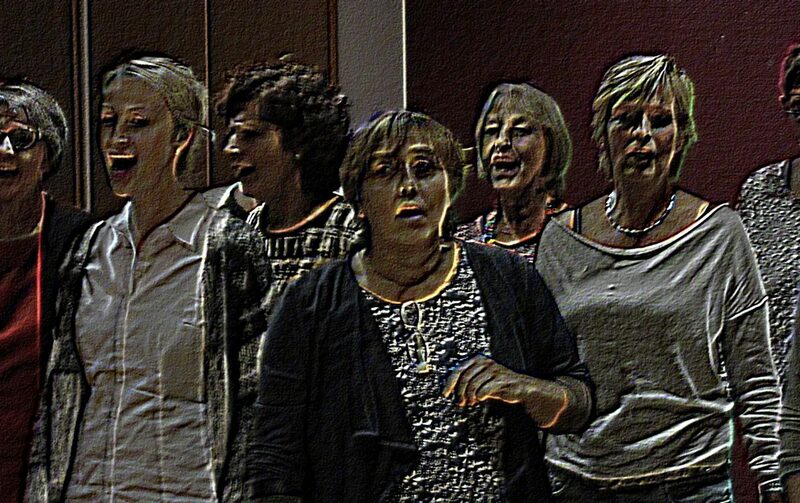 Below we take a look at some of the advantages of singing in a group. Research led by psychologist Nick Stewart of Bath University indicates that people who participate in a choir enjoy a greater feeling of togetherness and being part of a collective endeavour than others involved in different social activities. The researchers compared three groups of people, one of which was engaged in choral singing, the other solo singing, and the third was made up of members of team sports. A consequence of this is that choir members reported lower levels of autonomy than members of team sports or soloists, but Stewart suggested this may be a price worth paying, especially in a society where we are very often focused on our individual lives rather than broader cooperative goals. Researchers discovered that members of a choir saw their heart rates beat in unison in relation to the speed of their breathing. Heart rates were directly affected by the melody of the music, and the pulses of those tested rose and fell at the same time when they sung in a group. The study was based on 15 18-year-old participants tested by University of Gothenburg researchers. Reducing the variability of your heart rate has a positive impact on your health. It was also suggested that the ability of choral singing to regulate a nerve responsible for emotions and communication with others strengthens the feeling of cooperation. A number of studies have pointed to the mental health benefits of singing. One study lasting for a year involving participants who had been diagnosed with depression found that some of them no longer met that diagnosis following their involvement with a choir. Other studies have pointed to the impact group singing has on boosting oxytocin levels, which help control stress and anxiety. Cardiff University researchers uncovered evidence in 2012 that lung cancer patients engaged in choral singing had greater expiratory capacity than people who did not. Music Professor Brenville Hancox established, Skylarks, a choir aimed at people with Parkinson’s Disease. One of the participants in the choir explained how his voice had been strengthened, despite receiving a diagnosis of Parkinson’s five years earlier. Reasons for the improvement have been suggested as deep breathing and the extended use of the vocal chords. Stewart’s study found that participants in choral singing reported a higher rate of social wellbeing on one of the measures than solo singers. However, the rates for choral singers and sports team players were the same, indicating that so long as your doing something in a group, it will prove equally beneficial for feelings of social well-being. You may at first be a bit surprised to see we’re claiming this to be a benefit of choral singing. But a joint study by Harvard and Yale Universities published in 2008 did in fact find that this was the result of a group of people participating in a choir in a Connecticut town. And if, after reading all that, you’re still not sure or think you’re just not good enough, well that’s no excuse! According to a 2005 study, even if the quality of singing produced is “mediocre,” emotional, social and cognitive benefits still result, proving that there really is a prize just for taking part.